Kathy Dunderdale defends the skills of four new appointees to the boards of Nalcor and N.L. Hydro, amid questions from national experts on corporate governance. Premier Kathy Dunderdale defended the skills and experience Monday of four new appointees to the boards of Nalcor and Newfoundland and Labrador Hydro in the wake of questions raised by corporate governance experts. 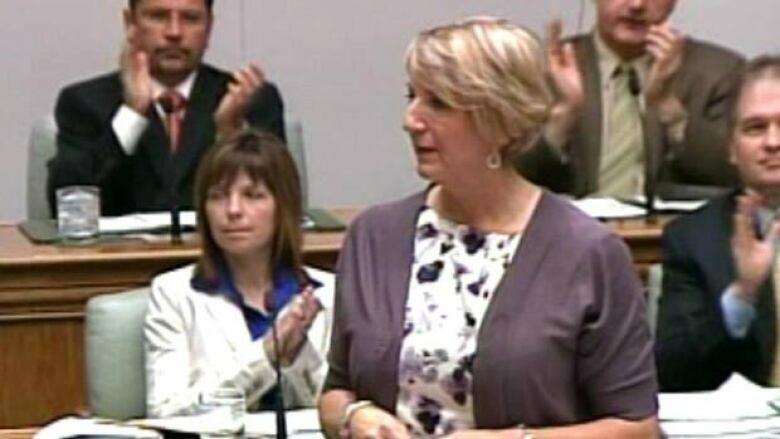 Dunderdale was questioned in the house of assembly hours after CBC reported not only on criticism of the new appointees' qualifications, but also how hard the government looked to find the choices. Dunderdale said all of the appointees have a "broad experience, a deep commitment to Newfoundland and Labrador. We were glad to have them." The new chairman of the boards is Terry Styles, a Stephenville businessman who runs a beer distribution company with 10 employees. Grand Falls-Windsor Mayor Al Hawkins and Happy Valley-Goose Bay Mayor Leo Abbass were also appointed to the boards, as was St. John’s lawyer Erin Breen who has less than 10 years experience. Richard Powers, who heads the governance program at the Rotman School of Management in Toronto, said it is hard to believe that a robust search for candidates would end with these four people. "Was this a thank you for services rendered to the political organization? Are these people really capable of carrying out their responsibilities?" 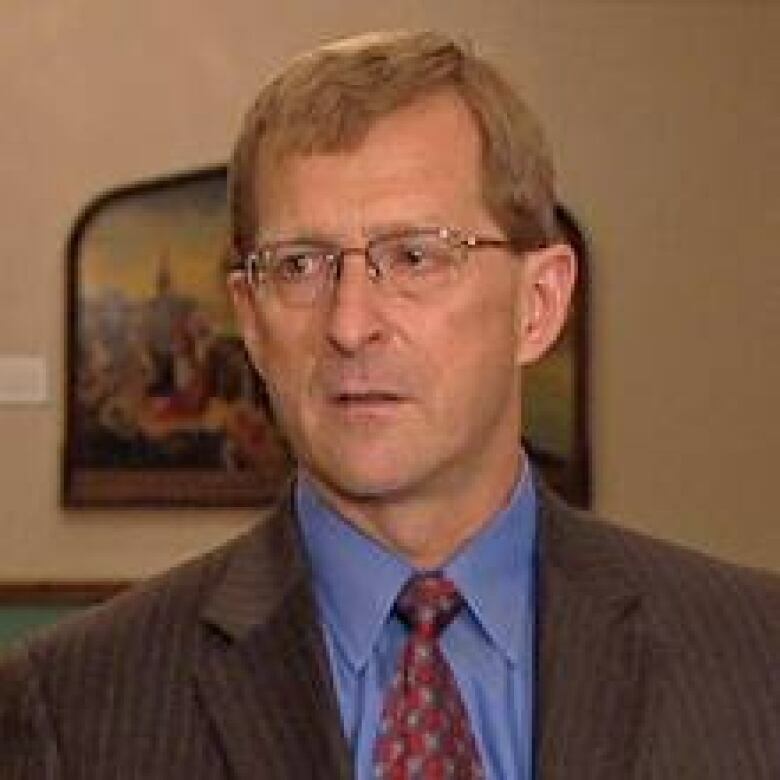 Powers said the members will have a lot of influence over big decisions, such as reviewing the CEO's performance, and major projects such as the multi-billion dollar Muskrat Falls hydro-generation plan. York University professor Richard Leblanc, who specializes in the effectiveness of boards, says having qualified members drives shareholder value for taxpayers. "If you haven't really run a large organization …you're really of limited value in terms of advising management," Leblanc said. Natural Resources Minister Jerome Kennedy announced the four appointments on June 8. "These appointments reflect the strong level of leadership and expertise on both Nalcor and Hydro’s board of directors, and I look forward to the valuable contribution each individual will make in their new roles," Kennedy said in a news release. "Their experiences and varied skill set will help strengthen the boards, and I thank them for their dedicated service to the people of Newfoundland and Labrador." Opposition Leader Dwight Ball questioned the premier on the rational of the choices. "What possible skills and experience were you looking for from those people so that they could assist the management team at Nalcor?" said Ball. "Mr. Speaker, I have to tell you that I find this line of questioning offensive," Dunderdale responded. "Why would anybody cast aspersions on me for, and question, my ability to be premier." Dunderdale didn't agree the appointees lacked experience in multi-billion financing or complex energy issues, but rather pointed to their life experience as a whole. "Mr. Speaker, we're ordinary Newfoundlanders and Labradorians [and] we know how to serve the people of our province," said Dunderdale. Later, NDP Leader Lorraine Michael raised the issue again, sparking a similar response from Dunderdale. "As Newfoundlanders and Labradorians, we all bring something to the table," said Dunderdale, who likened the board appointments to individuals who choose to run for political office. Members are not compensated for their work on the board of Nalcor but are paid $2,500 a year and $250 per meeting for Hydro. The chairman of Hydro’s board is also paid $100 per hour for additional work related to board activities.